How to present the Holocaust to children? For those who are too young for Anne Frank or Primo Levi, a gentle approach is provided by The Cats in Krasinski Square, a book that sets just the right tone. It tells of one small moment of successful defiance and quietly heralds the human courage, friendship, and dignity that survived in the face of unfathomable brutality. The book was inspired by I Remember Nothing More, a remarkable memoir by Adina Blady Szwajger. A medical student at the time of the walling off of the Warsaw Ghetto, she devoted herself to her young charges in the Warsaw Children’s Hospital until 1943 when the final deportations of Jews to the concentration camps were nearing completion. She escaped the Ghetto and began working as a courier for the Jewish Resistance. She was one of the fortunate few to survive the war. The Cats in Krasinski Square features a young girl who has escaped the Ghetto and is able to pass as an Aryan outside the Wall. She lives with her older sister, a member of the Resistance, and she befriends the cats who have been rendered homeless by the war. When she learns that a plan to smuggle food into the Ghetto is threatened by the Gestapo, she gathers up the stray cats into wicker baskets. As the train carrying the food couriers pulls into the station and the German soldiers let loose their snarling dogs, the cats are released and pandemonium ensues. That night the food makes its way into the Ghetto and the girl passes a loaf of bread through a hole in the Wall into the grateful arms of her friend Michal. Meanwhile, in Krasinski Square, a carousel swirls to gay music and children laugh with delight. Szwajger described watching the carousel as the fighting of the Ghetto Uprising raged and the houses (her own, among them) went up in flames on the other side of the Wall. The merry riders were seemingly insensible to the human tragedy playing out nearby. 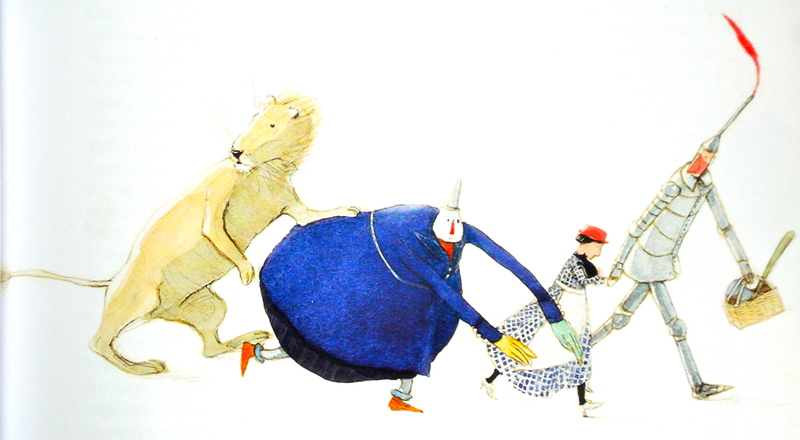 Karen Hesse is a sensitive writer who has garnered both a Newberry Medal and a MacArthur Award for her books for children. With an economy of words and a poetic prose style, she has taken on complex moments in history and given them a human face. Her subjects have included the grinding poverty of the Dust Bowl, the forced relocation of the Aleuts after the Japanese invasion, and the Ku Klux Klan in New England. Never sentimental or sensationalistic, she creates a strong sense of historical place and the response of individuals to burdens imposed by the vagaries of historical circumstance. 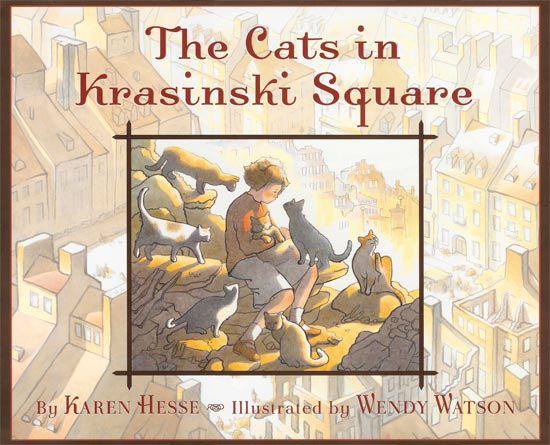 In The Cats in Krasinski Square she is aided by Wendy Watson, a visual artist of comparable sensitivity. 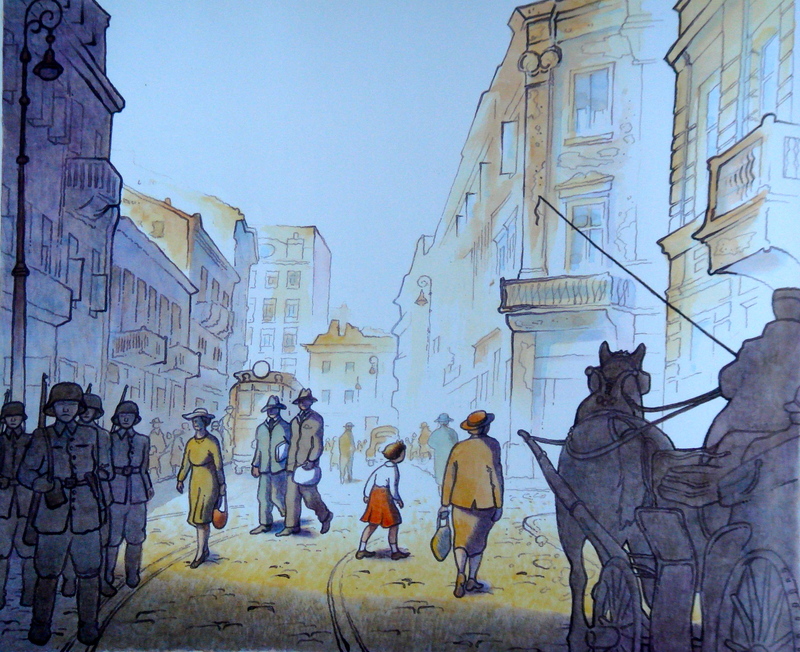 With softly blurred illustrations in muted yet luminous golden and ruddy tones, she portrays essence of cat along with essence of war-torn Warsaw. 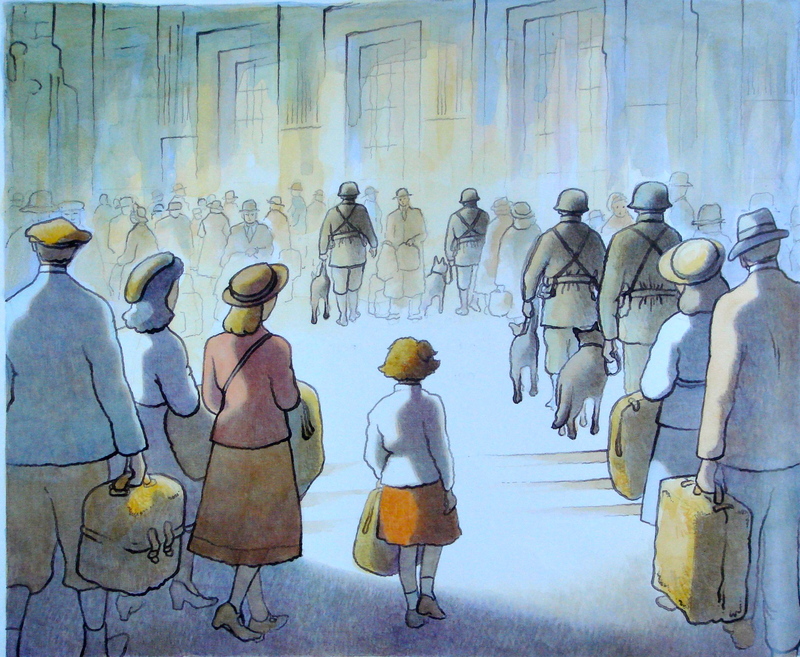 In the climactic train station scene, she provides just enough comic relief to allow the reader to feel triumphant exhilaration as a clever young girl with ingenuity outfoxes the Nazi soldiers.